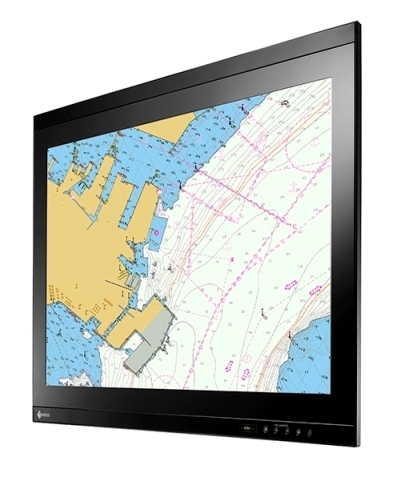 Eizo marine monitor DuraVision FDU2603WT 25"
Panel Mount Marine Monitor with LED Backlight for ECDIS / RADAR Applications. The monitor offers durability for use in harsh maritime environments, complying with the conditions for temperature, humidity, and vibration as defined in the IEC 60945 international standard for maritime navigation and radio communication equipment and systems. Durable and Reliable: The monitor offers durability for use in harsh maritime environments, complying with the conditions for temperature, humidity, and vibration as defined in the IEC 60945 international standard for maritime navigation and radio communication equipment and systems. IP65 rating ensures they can withstand dust ingress and is protected against low-pressure water jets. A coating is applied to make the electronic substrates moisture-proof and the cooling fan is easily accessible for exchanging purposes. Approval from Classification Societies: The monitor meets the requirements for major maritime classifications with approvals for LR (UK), DNV GL (Norway / Germany), ABS (USA), and NK (Japan). Additional certifications are available on request. Long-Lasting LED Backlight: The monitor is equipped with an LED backlight. Compared to conventional CCFL backlights, LED backlights last longer and consume less power. The monitor is also mercury-free for minimal impact on the environment. Optional Stand: An optional stand is available with the monitor which allows tilt positioning from 0 - 60 degrees. The stand, when combined with the monitor, complies with the conditions for temperature, humidity, and vibration as defined in the IEC 60945 international standard for maritime navigation and radio communication equipment and systems. It also meets the requirements for major maritime classifications such as LR (UK), DNV GL (Norway / Germany), ABS (USA), and NK (Japan). Wide Dimming Range: The wide dimming range of less than 1 cd/m2 up to 470 cd/m2 allows you to adjust to the appropriate brightness level for viewing during the day or at night. Clear View: The VA panel features wide viewing angles that minimize changes in contrast and gradation to maintain excellent visibility when the screen is viewed from the side. An AR coating is applied to reduce the amount of reflections on the screen for a clear display. Calibrated for ECDIS: Backlight brightness, gamma, and RGB color settings are calibrated at the factory so each monitor achieves accurate color reproduction for meeting the highly specialized requirements of ECDIS systems. The monitor meets IEC 61174, IEC 62288, and IEC 62388 international standards for ECDIS and RADAR applications. Optical Bonding for High Visibility: Optional optical bonding is available for the monitor. Optical bonding significantly reduces reflective light for high visibility even when the screen is viewed in direct sunlight. A screen with optical bonding is also more resistant to applied pressure, giving it increased physical durability. 24-Hour Use, 3-Year Warranty: The monitor is built for 24-hour use and are backed by a three-year manufacturer's warranty for long-term reliability. Eizo marine monitor DuraVision FDU2603W 25"